Left on a Citibike basket at Citibike docks on Cooper Square/Astor place at 7:10 PM. Stolen before 7:50 PM. 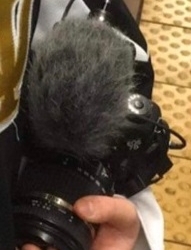 Description: The camera and microphone that was stolen.